Gaining the world’s most visa waivers in 2017, is only just the beginning. 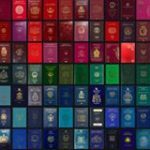 Montreal, June 1, 2018 – With a sparkling new Visa-free Score of 107, Georgia globally ranks as the 48th most powerful passport in the world according to The Passport Index, the leading reference on global ranking of the world’s passports. Earlier this year, Georgia gained 38 visa waivers mostly bestowed by the European Union member countries, making it the country with the highest amount of gained visa waivers in 2017! Although the nation has a respectable Global Mobility Score, it is in fact even more renowned for its hospitality and welcoming nature. Traditionally, Georgians consider guests to be a gift from god, and their amiability is immediately apparent upon any traveler’s arrival. Nestled between the Caucasus Mountains that separate Asia from Europe, Georgia is strategically located in one of the most important areas of untapped beauty and opportunity. Besides sharing borders with Russia and Turkey along the Black Sea, historically Georgia was long-suppressed by the rule of both the Ottoman Empire and the Soviet Union, until its independence in 1991. Since then, many globetrotters have discovered the hidden treasures beneath Georgia’s charming valleys and sunny beaches, growing the nation’s tourism to 3,478,932 international visits in 2017, resulting in an annual revenue of US$2.8 billion (18.1% of GDP) by tourism alone. Additionally, the global intrigue in ancient Georgian culture, which stretches back millennia, has placed Georgia at the forefront of heritage tourism, naming it one of the greatest cultural legacies of the modern world. Along with their increasing global mobility score, and their renowned hospitality, Georgia is bound to attract many more opportunities its way. A picturesque nation, with an inspiring legacy and generous population, is sure to entice anyone abroad looking for a vibrant yet peaceful experience. And who knows, maybe some would even consider moving there for good!